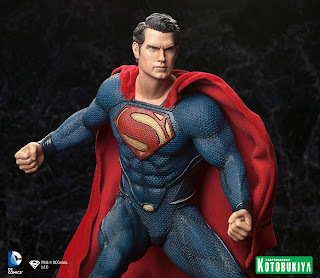 A few weeks later the movie Man of Steel will be launching but before that, Kotobukiya is giving us a preview of their Man of Steel Superman ARTFX Statue. Scroll down for more! "A Kotobukiya Japanese import! 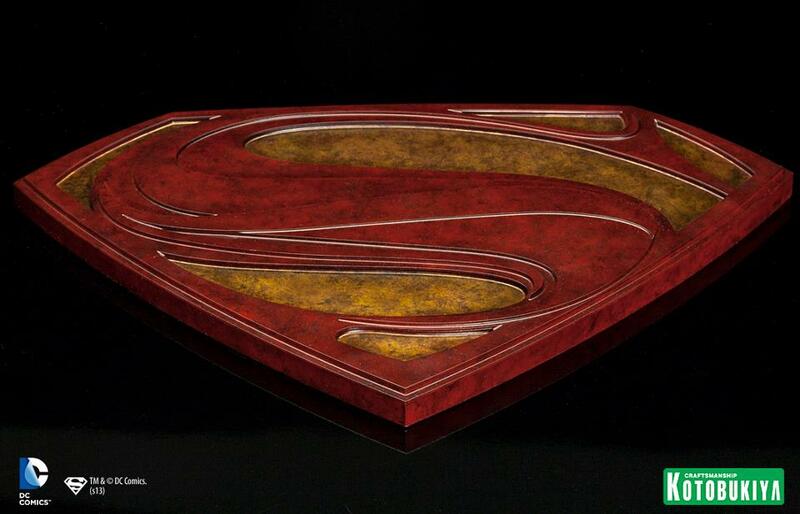 This summer marks the big screen return of DC Comics’ Superman in Man of Steel, directed by Zack Snyder and produced by Christopher Nolan of the Batman franchise. 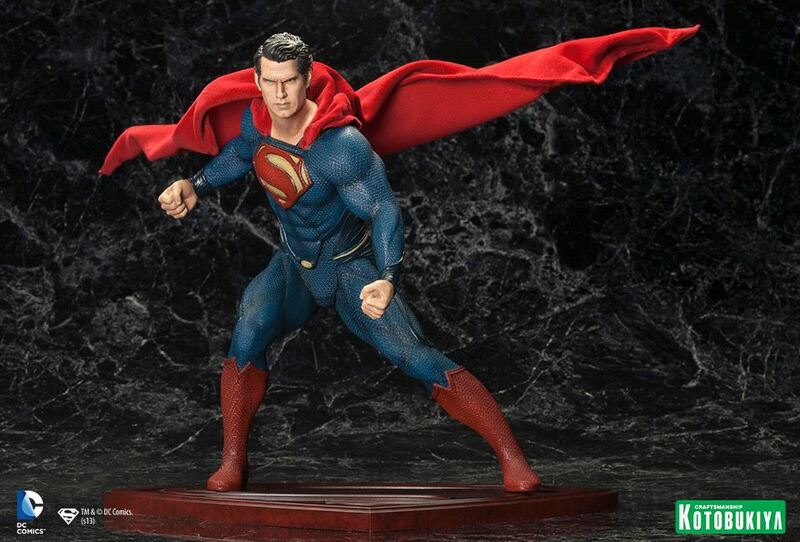 Promising a brand new vision of the iconic superhero, the film stars Henry Cavill as the Man of Steel complete with an incredible redesigned costume that updates the traditional red, blue, and yellow. 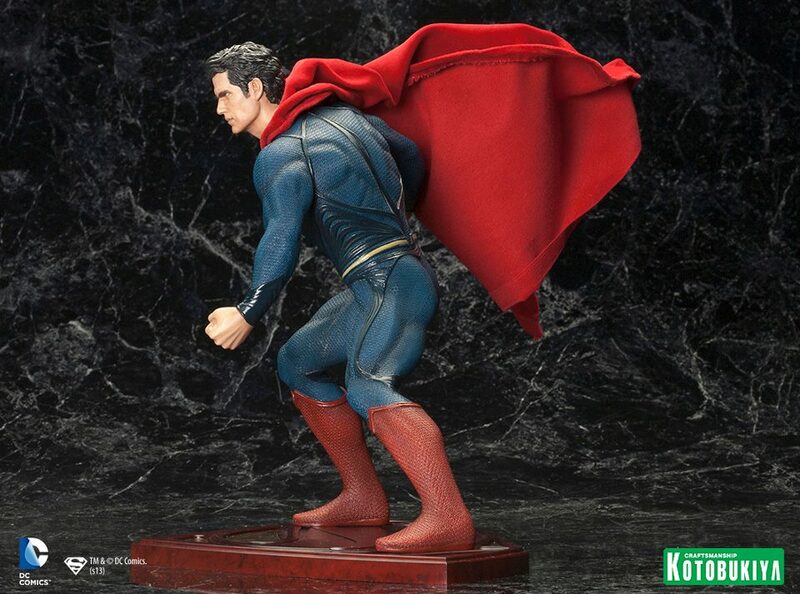 Kotobukiya is proud to present an all-new ARTFX statue to tie in with the upcoming blockbuster, Man of Steel’s Superman! While we won’t know the full extent of Snyder’s new take on Superman until the film releases this summer, it’s clear from the trailers and promotional images that it’s going to be big and action-packed. 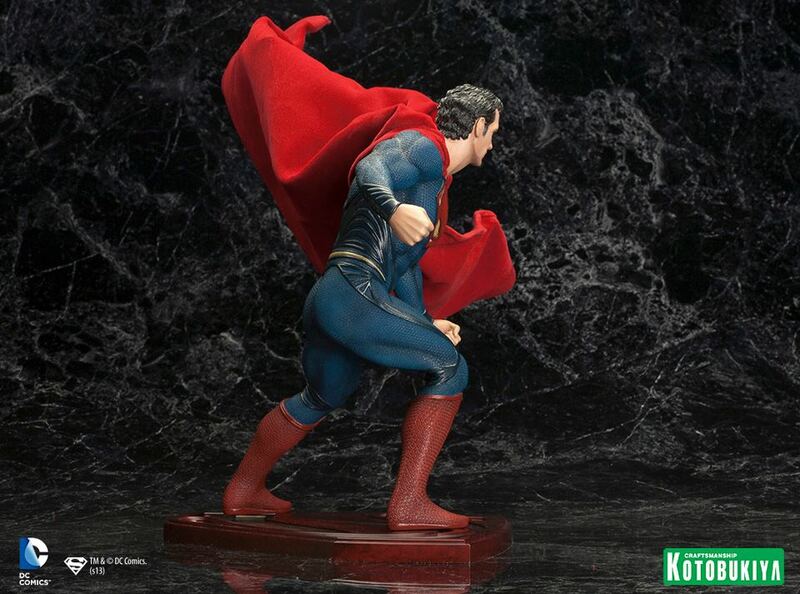 Kotobukiya’s Man of Steel statue captures the energy and power of the film’s hero in a fantastic new presentation. Superman stands in a powerful pose straight out of the movie’s trailers, half crouching with his arms curled and fists clenched. The Kryptonian is coiled and ready to spring into action, muscles taught beneath his suit... and what a suit it is! The Man of Steel film version of the iconic Superman costume combines the traditional comic book elements with futuristic materials and textures, melding it together into a sleek outfit that looks really cool. 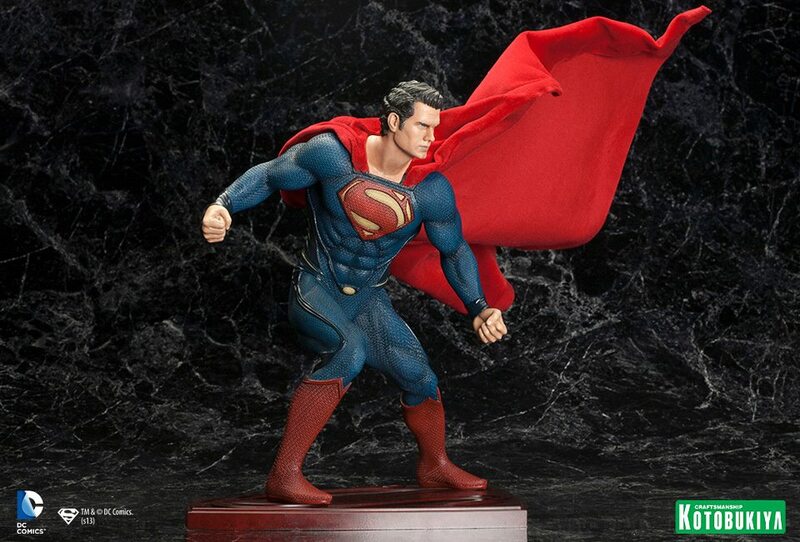 Expertly recreated for this statue, the hero’s suit is intricately sculpted to capture all of the subtle textures as well as the bold elements like the chest logo, boots, and piping effects. 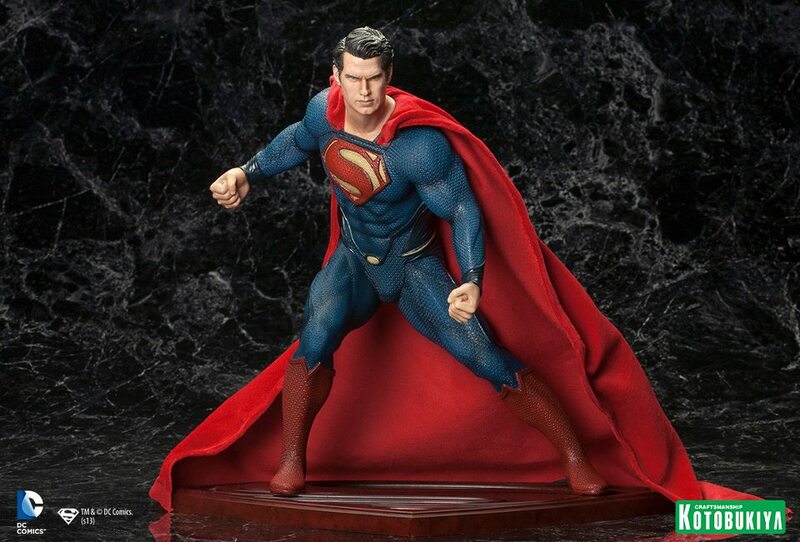 Equally impressive is the lifelike Henry Cavill as Superman head sculpt, powerful, serious, and otherworldly. 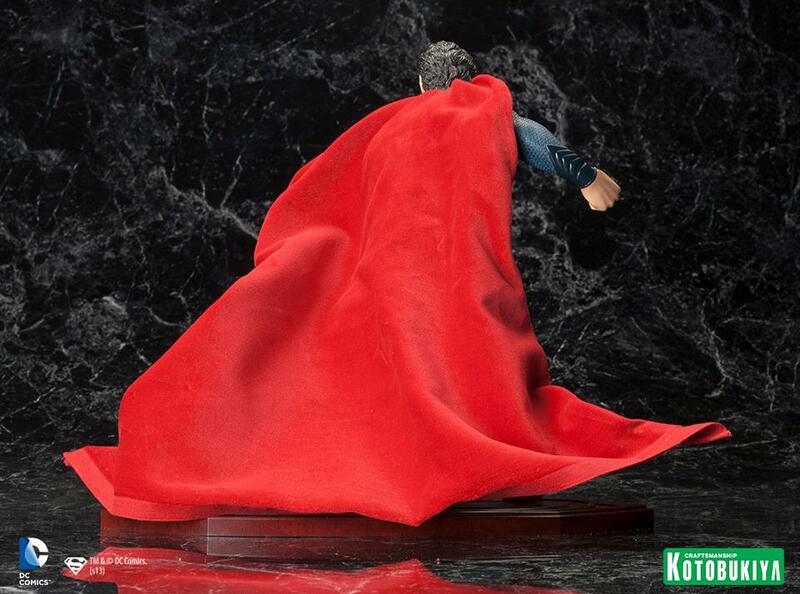 Last but not least, this statue debuts a Kotobukiya first: a poseable cape that can be shaped and molded into nearly any position, allowing for a dynamic personalization of your display! 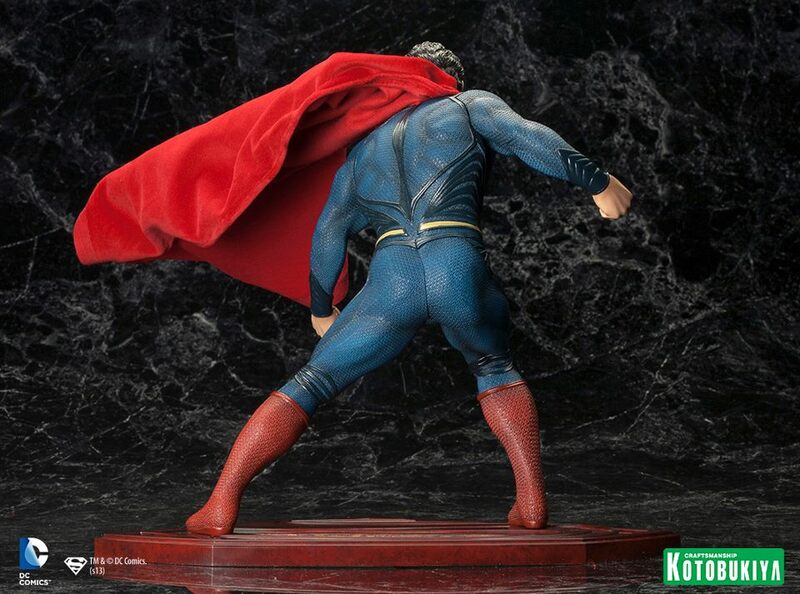 Sculpted by RESTORE (Shinya Yamaoka), Superman stands over 10 ½ inches tall (1/6th scale) crouched over a special display base that incorporates the iconic “S” shield. 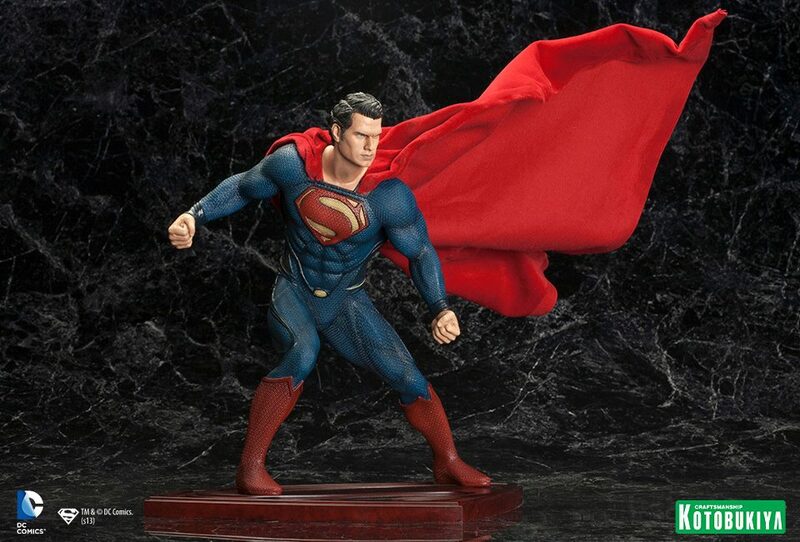 This pre-painted, snap-fit ARTFX Statue is easy to assemble so you can have your Superman on display in no time. 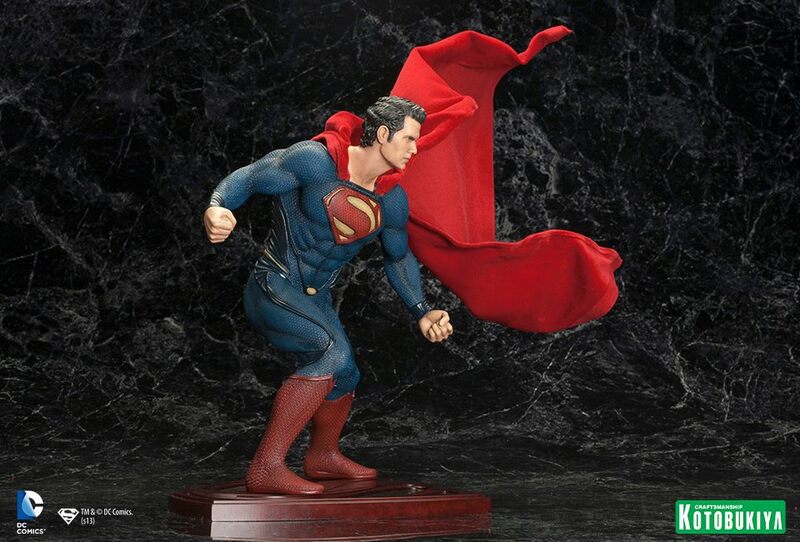 Arriving later this year just after the release of the film, this statue is the perfect way to celebrate Man of Steel and the greatest superhero of all time!